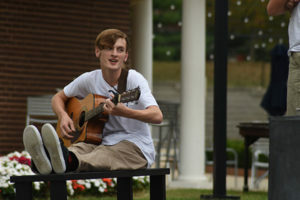 Tyler Gruen, narrator and instrumental accompanist for the play. 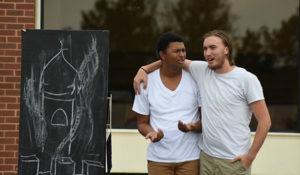 Yarbrough (left) and Cameron Tyler (right) share center stage. 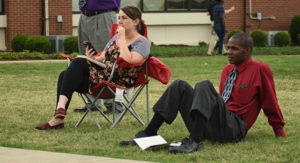 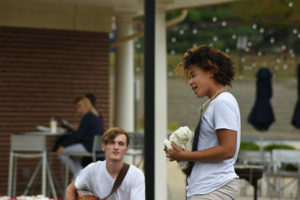 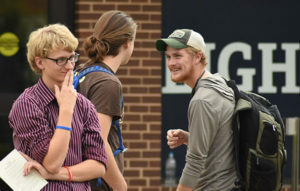 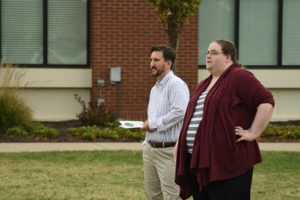 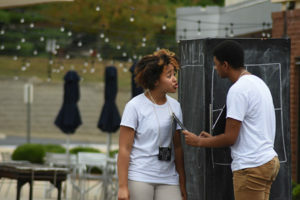 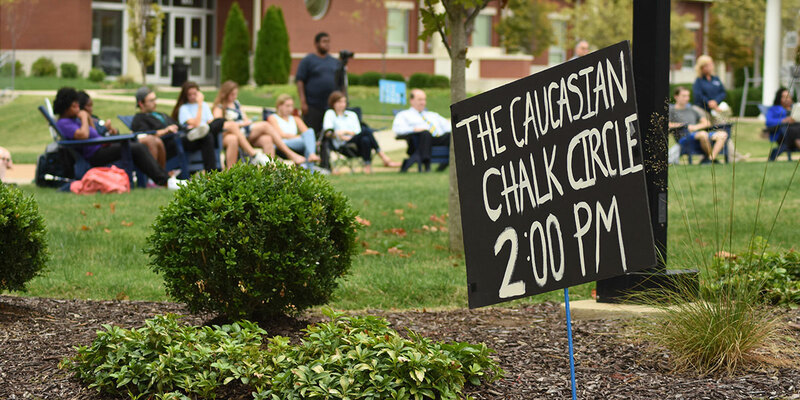 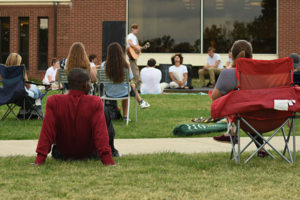 Maukeish Howard (left) and Kasey Cox (right) take in the performance. 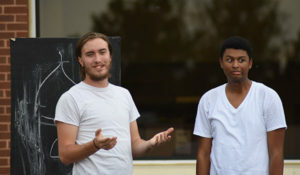 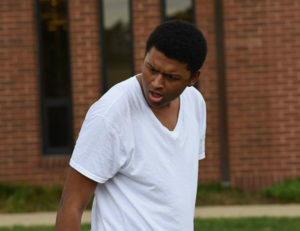 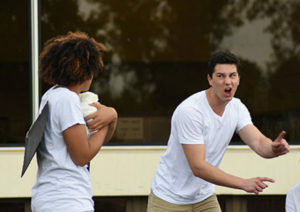 Tyler (left) and Nick Cook (right) played Salva and the fat prince together in this particular scene. 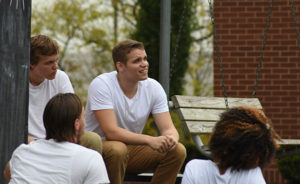 Yarbrough (left) and Matthew Riordan (right) as Simon, perform an emotional moment. 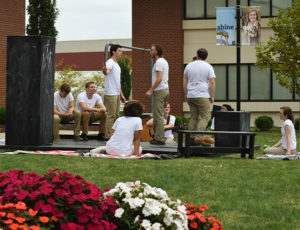 Riordan enjoying his cast mates performance. 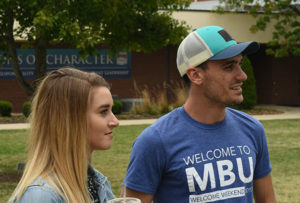 Haley Birker (left) and Ben Carril (right) stop by to enjoy the play.